Do you feel like you never have enough time? There might be more minutes in the day than you realize, just waiting for you to reclaim them. 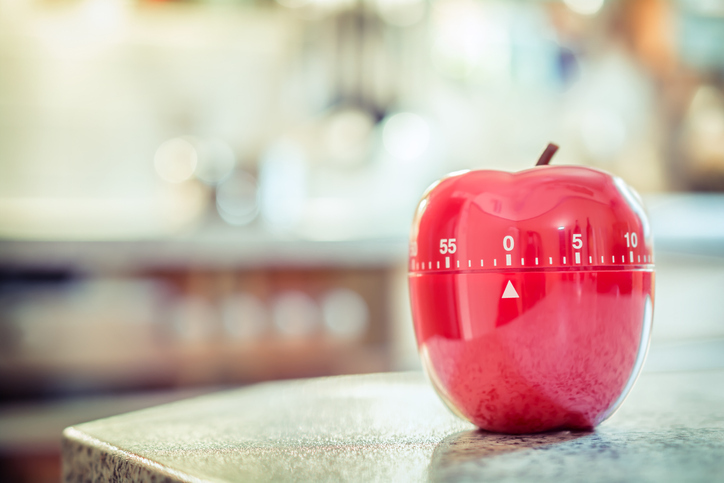 Here are nine simple tips to save time every day without even trying. Starting your day without a plan might be the single worst thing for your time efficiency. 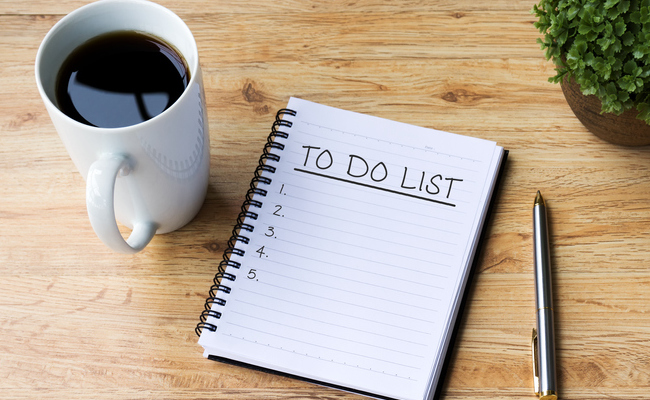 And though this comes down to personal preference, making a to-do list — and sticking to it — can save you from distractions or working on low-priority tasks. If you want to be exceptionally efficient, organize your list during time you otherwise might have wasted, such as while you wait in lines or for appointments. Plus, firming up your day’s to-do list the night before might help you fall asleep faster — saving you some precious minutes of sleep. If you consistently have to factor other people into your plans, consider using shared calendars. Unlike other methods of communication — calling, texting, etc. — you can check a shared calendar whenever it’s convenient for you, and you don’t have to wait for a response before you form your plan. For instance, if everyone in your family put their holiday travel plans on a shared calendar, you wouldn’t have to track down each member individually to find out their schedule. As long as everyone on the calendar keeps it updated, it could be an invaluable time-saver in your life. Do you sit down each week to write your grocery list — or, worse, shop without a list and spend valuable time wondering whether you actually need a particular item? 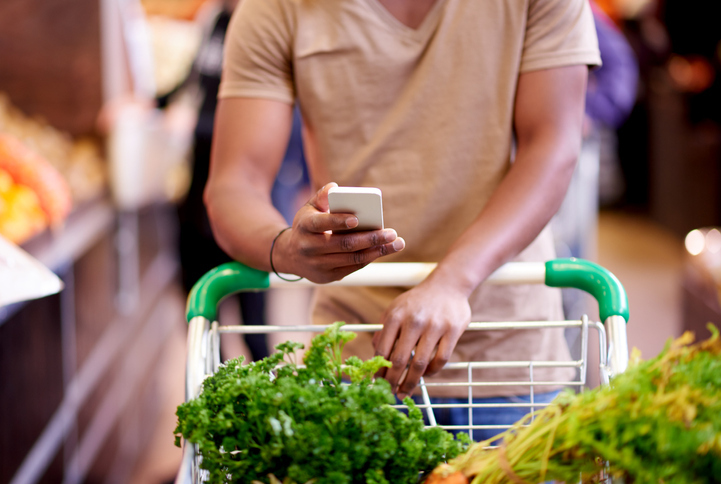 Maintaining a running grocery list that you can access on your phone (or somehow have it with you at all times) can save you time and money. Adding to your list here and there will almost make it feel like a nonexistent part of your errands, rather than finding the time to sit down and write a list from scratch. And you’ll always know what you need, even if you make an unanticipated trip to the store. We’ve all wasted time staring into an open fridge, hoping something magically presents itself as our dinner. But if you meal prep, you’ll never have to lose minutes to indecision again. If you’re already organized with your shared calendars and running grocery list, you’ll be able to foresee the days when you need quick meals versus the times you can spend cooking something elaborate. Food Network recommends planning weekly meals around the same perishable ingredients to avoid wasting food. And if you can, prep for multiple meals at the same time — such as chopping up extra veggies or baking two dishes at once — to save yourself some minutes later. Do you drag your feet when it’s time to get some chores done? Procrastination just wastes precious minutes that you could be using to do your work and move on to more enjoyable activities. But finding that motivation is easier said than done. So Good Housekeeping suggests setting a timer for just 30 minutes to power through as many chores as possible. By putting a clock on it, you’ll ideally trick yourself into being more focused and motivated to work faster. You might be wasting time putting too much elbow grease into chores when you could just let your cleaning products do the work for you. Many cleaners work better if you let them sit on a surface for several minutes (though, of course, follow the instructions on your specific product). So instead of spraying and scrubbing right away, let them work their magic while you do something else. You’ll ultimately get more done in the same amount of time. You don’t have to wear the same outfit every day like Mark Zuckerberg or Steve Jobs, but it can save you decision-making time if most of your clothes somewhat match. The Penny Hoarder offers some tips on building a capsule wardrobe — that is, a wardrobe primarily of neutral staples with a few statement pieces. The key is having enough pieces to mix and match that you actually like wearing, so you spend less time agonizing over your outfit choices. Many people sit too much during the day, but it’s not always easy to find a solid block of time to exercise. Fortunately, you don’t have to. Whenever you’re watching TV, use the commercials to move. (If you’re streaming, you’re going to have to find that pause button.) Do some squats, lunges or other quick exercises during that break. Or even get up to do a quick chore. Reclaim those minutes when you’re just watching endless car commercials, and you’ll find out you did actually have enough time to exercise. Good ideas, except I don't watch tv. I do most of these already. Maybe that's why I have to time to party when I feel like it.